Viñales Valley is a living cultural landscape where traditional agriculture is practiced. Due to its fertile soil and favourable climate, farming started here in the 17th century. It got a boost in the 1860s because of the rise in tobacco cultivation, which still is the main crop. The valley lies in the western Cuban province of Pinar del Rio. This is a karstic depression, a plain surrounded by cliffs up to 400m high rising like islands from the bottom of the valley (the mogotes). The cliffs hold numerous caves such as Cueva del Indio, Cueva de San Miguel and Caverna de Santo Tomás. Inside there is dripstone and rock art. The natural flora and fauna is characterized by many local endemic species. In hindsight, this was the area of Cuba that I liked best. Especially its natural surroundings. Surely I had seen a karst landscape or two before, and the size of this is no match for China's Yangshuo/Guilin, but "diving" into this valley by road is a spectacular sight. Its little hills, tobacco plants and colourful flowers do add an extra touch to the standard Cuban landscape of banana plants and royal palms. Another thing that sets Vinales apart is that it is such a small town, just pottering around a bit far from the rest of the action of Cuba. It's a totally relaxed place. The town's inhabitants seem to have completely surrendered themselves to tourism. About 80% of the houses are in use as Casas Particulares. The rest sell drinks, food or souvenirs. Large touringcars travel on and off through the town's main street, delivering more tourists (including day trippers from Havana or even the beach resorts). To see the valley's main sights, I joined a bike tour. Although the valley is only 12km long, I found it quite a tough ride. Cuban made mountain bikes aren't the most comfortable in the world. And those nasty mogotes! Annoying little hills which always involve a steep climb. On the way back we also had the wind against us. So I am not ashamed to say that I walked a fair bit of the last 5 km. 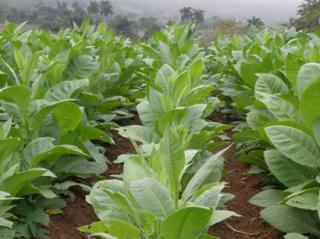 Part of the tour was the obligatory visit to a tobacco farm. I had not seen tobacco fields before, and found it interesting to hear about the delicate and time consuming process that involves tobacco growing. The other sights in the valley aren't much, though from a distance the quite tacky Mural de la Prehistoria is not bad at all. Cuban culture, tobacco growing, or are passing that way anyway, Vinales town is worth a stopover, but I wouldn't plan a holiday around it. Vernacular architecture: "Most of the buildings scattered over the plain are simple; they are built using local and natural materials, and are used as homes or family farms." Maroonage: Slaves from Africa worked on the crop fields here. Also, escaped slaves often found refuge in the caves of the Valley. The Pan de Azucar site contains the ruins of the biggest hacienda, where slaves were taught different trades.